The great Spring awakening is happening, finally. Seems that the last of Winter is now a memory and hopes for sunnier and warmer days have a glimmer of being fulfilled. 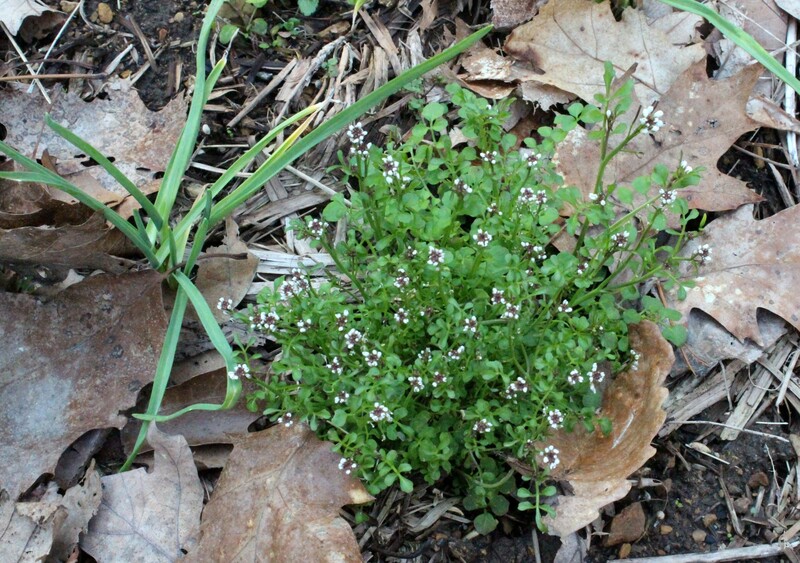 Little weeds are some of the first plants to flower in early Spring, like this Pennsylvania Bittercress. It’s been blooming for a while now! It’s past time to weed the PA Bittercress from the vegetable garden. Spring starts on March 1st for the meteorologists of the world, so we’d call that Meteorological Spring. If you’re not a weather person Spring probably starts on March 20th for you. For me, Spring starts when we see flocks of robins returning from the south to hop around the yards looking for worms. I always chase them out of the garden when I see them there! Other birds return North at the start of spring, like the Mute and Tundra Swans that you can hear at a distance, flying so high. Canada Geese can be louder with all their honking, and I always feel a rush of Wow! Spring is really here! when I see and hear them flying north. Another way I feel Spring is here at last is when I see the first crocus blooming. Sure, daffodils have bloomed a couple of times in the past month, mostly in town at slightly warmer locales than on our mountain ridge. 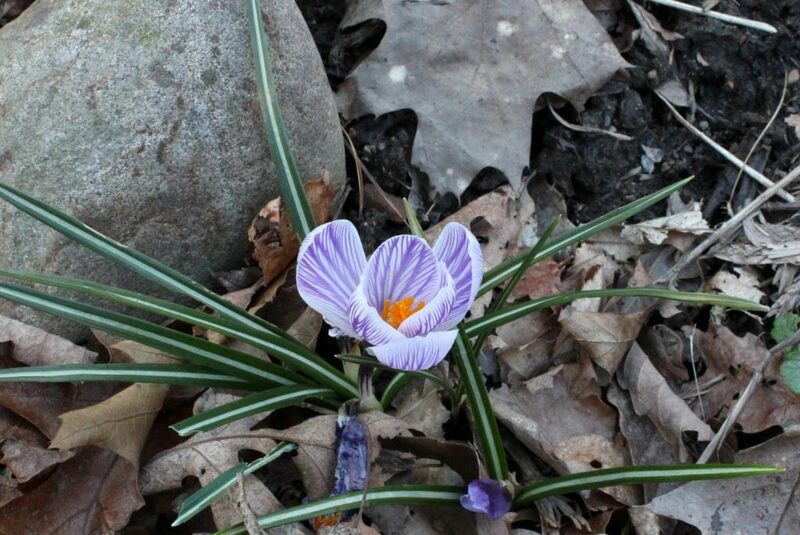 But, the crocus in our location just bloomed two days ago. Those pesky squirrels may have dug up a few bulbs for a snack or the bulbs just petered out trying to live in our rocky-clay soil. Just a couple of crocus blooms this year and I missed the first one as its was hiding behind a garden stake. If I’d just fertilize them, they might last longer! Other posies popping out include the red maple tree flowers, purple dead nettle, Pennsylvania Bittercress, hellebores, coltsfoot, and of course forsythia bushes. Cut-leaved Toothwort is just now appearing from under the brown oak leaves on the forest floor. Its blossoms in the bud stage will open into pretty four-petal blooms.